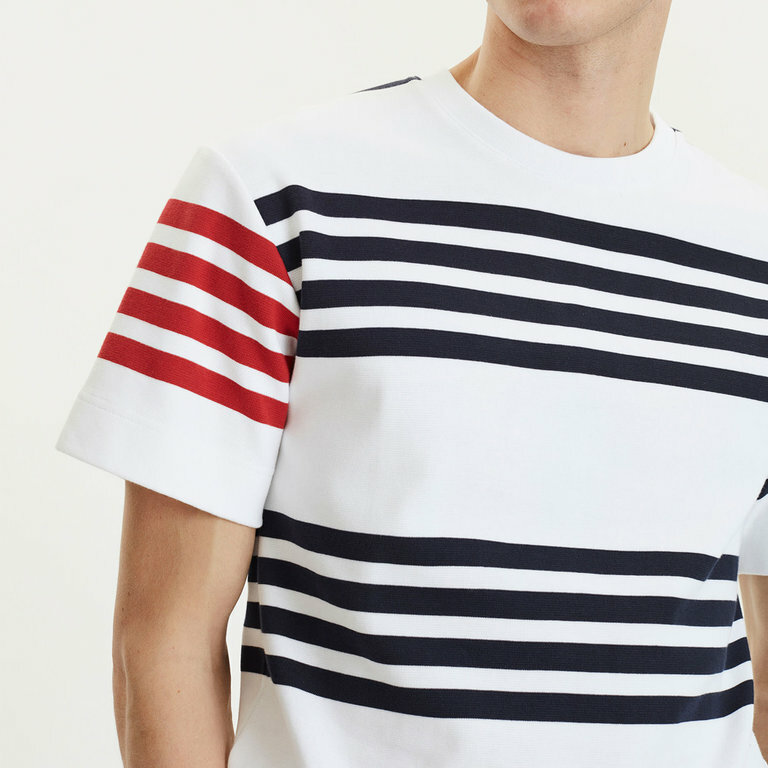 Libertine-Libertine's Cooper Tee in White Navy with a relaxed fit cut from a soft cotton-jersey. This one is finished with a rib collar, double stitched hem and cuffs. 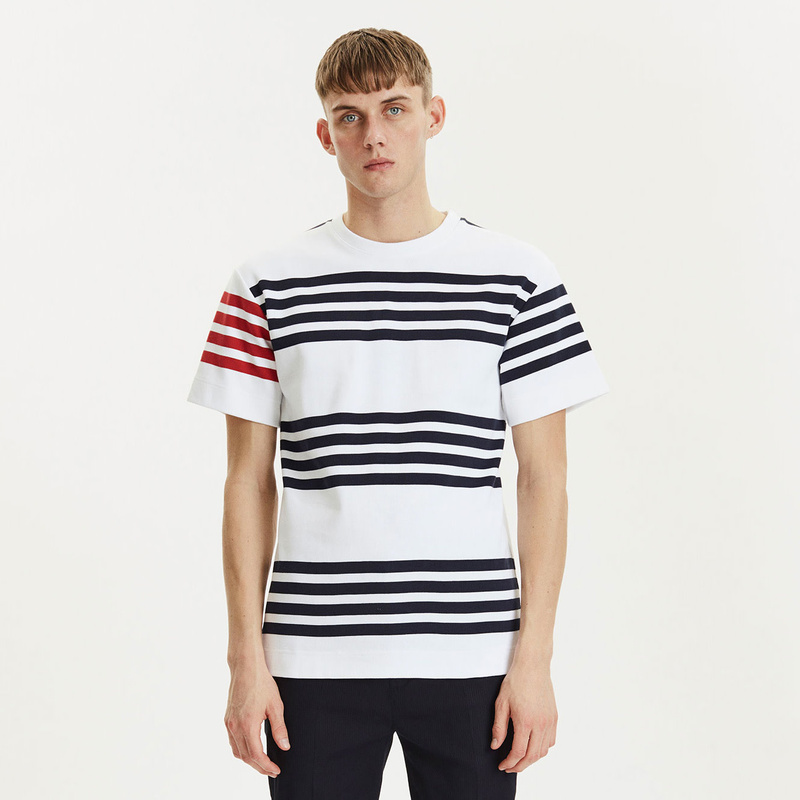 Libertine-Libertine's Cooper Tee in White Navy with a relaxed fit cut from a soft cotton jersey. 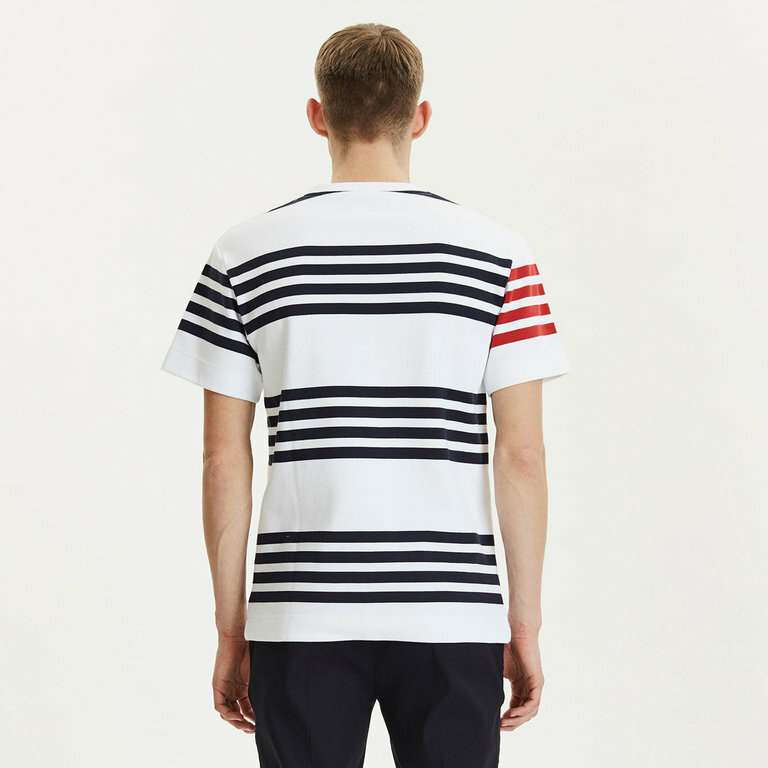 This style is finished with a rib collar, double stitched hem and cuffs.